India has always been renowned as a country operating on contradictions. Right from its pre-Independence days when it was revered as the jewel in the British empire, till the period just before liberalization when it lay stooped in poverty. From the geographical complexities that made it possible for deserts, snow-capped peaks and beaches to inhabit the same landmass, where north, south, east and west have such diametrically opposite cultural and historical intricacies that their interactions cannot help but becoming a part of a humongous melting pot, where religions and languages change as quickly as cuisines, the diversities remain too many to fathom. The positives that emanate out of such a complex entity are many but sadly, the negatives are more pronounced as well. In a country where the social capital is so massive that it cannot help but export a large chunk of it year after year to countries all across the globe. The disparities that define the conditions that Indians inhabit within India are too stark to ignore. Much has already been made out of the economic inconsistencies that exist; Slumdog Millionaire did a fine job in showcasing most of it. But one particular contradiction that is most jarring involves not an absence of resources but an abundance of it. And not being able to provide most of the population which needs that particular resource is resoundingly incompetent to say the least. This incompetency however is what has come to define India’s food economy in recent times, the contradiction here being the thousands of godowns/warehouses teeming with food grains and the millions of people starving due to lack of access to them. 1950’s India could never have envisioned this happening. The granaries and warehouses are currently bursting with so much of food grains that it has become a headache for the Government to figure out what to do with them apart from export. Compare this to the years just after Independence, when hunger was an endemic crisis, the days of the Green Revolution still more than a decade and a half away, when the Government was still trying to figure out ways to improve production and make the most out of all the arable land available, where problems related to storage and warehousing would have been dismissed as wishful thinking and welcomed rather than fret over. Fast forward 70 years and indeed we have come a long way. To go from import dependency to the second largest producers of rice and wheat in the world in a matter of decades is no easy feat. To be able to accumulate more than 540 lakh tons of rice and wheat as buffer when the norms stipulate only 250 is astonishing if not miraculous. To have the world’s largest social security network in place with intent to provide high quantities of food at the lowest rates imaginable is yet another milestone. To have not had a single major famine strike anywhere across the country since 1943, to have one of the world’s most thriving agricultural setup in place, to be able to nonchalantly export any amount of rice and wheat as we please year after year, all achievements to be proud of. Where lies the space for worry then? In the Global Hunger Index compiled by the International Food Policy Research Institute in 2013, India ranked 63rd out of 88 countries, a marginal increase from 2012 Rankings. 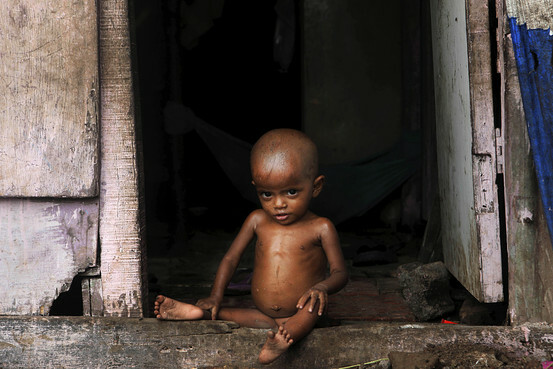 India is home to 27% of the world’s undernourished people. 43% of Indian children under the age of 5 are underweight and around 40% of malnourished children live in India as per Canada based NGO Micronutrient. Nearly 50% of child deaths in India occur due to malnutrition with the 2013 World’s Children’s Report of UNICEF ranking India at 49th. Approximately 230 million people go hungry day after day due to lack of access to any kind of food. This is a country which is on the verge of breaking Thailand’s world record when it comes to rice exports and where there is such an overabundance of grains lying unused in the granaries that the rats scurrying around look fatter than most people. In simplistic terms, food is available and the people who need it most aren’t getting it. Food exports have been steadily rising while the per-capita availability of food within the nation continues to decrease. It would almost be funny if it weren’t so sad. As Dr. Amartya Sen put it, “We are evidently determined to maintain, at heavy cost, India’s unenviable combination of having the worst of undernourishment in the world and the largest of unused food stocks on the globe”. The National Food Security Bill which was passed recently sent economists into a tizzy at the costs it would impose on the Indian exchequer. Other arguments raged about how the provision of only rice and wheat would not lead to any sort of nutritional balance. Then there were the questions asked about how making available so much food at such little price would encourage farmers to stop growing and become beneficiaries of the bill themselves. Focus was put on the high MSPs currently being paid to farmers, which has led to this senseless increase in agricultural productivity and overabundance of food grains in the first place. Interestingly, it hasn’t led to a decline in farmer suicides so who are the farmers actually benefitting from these MSPs? The potholes are many and the answers few and upon this chaos, the Food Security Bill has descended like a haze. If Jean Dreze is to be believed, “the fact that the so-called ‘food subsidy’ is likely to rise to Rs 1,25,000 crore per year after the Bill comes into effect does not mean that this is the cost of the Bill. The food subsidy has been rising year after year on its own, mainly because of rising procurement and support prices, and counting the food subsidy as the cost of the Bill would be like spending Rs 5,000 to upgrade a laptop worth Rs 50,000, and saying that the upgrade costs Rs 55,000”. Many other experts also believe that implementation of the Food Security Bill is an economic non-issue as production and availability are at all-time highs and all that is needed is to ensure they are made available to the targeted populations.It also is yet to be seen from global examples of welfare schemes as towhether the provision of free food will make people lazy and unproductive. The Food Security Bill will most likely not be the epic catastrophe it is being made out to be in some circles. But the main problem with it is that its introduction seems like the addition of just another cook in preparing a broth which has been spoiling for quite some time now. What is needed in India’s case is not the bifurcation of another targeted population nor the introduction of another scheme. The aim should be simple: the grains exist, the people are starving, get the grains to the people. 40-55% is the existing level of leakage in the PDS. Fix that. Put the Fair Price shops under the control of people trusted by the community. Weed out bogus BPL cards. Do not muddle the existing balance by hastily introducing Direct Cash Transfers and adding to the mess, first let the existing mechanism find the efficiency it has the potential of attaining. Our convoluted exports policy ensures we are making heavy losses in the export of food grains and are import dependent when it comes to pulses and oilseeds. Let us first ensure we make the existing food grains reach the needy populations, help this availability of nutrition create a strong welfare base from which social and economic progress can take root and automatically increase access and availability to and of other food items and a shifting to healthier dietsin the long run. The question of food security is a complex one, interlinked with multiple layers both visible and invisible and spread out across social, economic and political spheres. The government should try and focus on the basic rules of welfare rather than overcomplicating the simple scenario of providing food from point A to point B with other factors such as education, employment and healthcare. All three are indeed crucial in India’s case and need to be pursued separately at the same time by those in charge and not mixed up with the creation of the very necessary food base, however flimsy it may seem to be. The current food policies protect the supplier more than consumer and this is where the crux of India’s food problem lies. This existing system is responsible not only for generating a massive supply but also for leading to unaffordable prices for the consumer. Much of the existing subsidy goes not into provision of food rather in the maintainingof the rickety food administration chain, with storage and stocks leading to highest costs. According to Dr. Sen, “since the cutting edge of the price subsidy is to pay farmers to produce more and earn more, rather than to sell existing stocks to consumers at lower prices (that too happens, but only to a limited extent and to restricted groups), the overall effect of food subsidy is more spectacular in transferring money to farmers than in transferring food to the undernourished Indian consumers.” What is more perplexing is that even in the farmers who are benefitted, the majority originate from the wealthy farming circles leading to the shameful conclusion that the Government subsidies are helping people who weren’t its intended beneficiaries and who don’t need such economic aid in the first place. A lot needs to be fixed and a long time remains before India can proudly say that it successfully made hunger history. What is needed first is a strategic tweaking of the existing mechanisms, in the agriculture, food supply, education and healthcare ministries. It needs to be ensured that the provision of these basic essentials is efficiently taking place and that the existing schemes are functioning rather than blindly integrating schemes from all the ministries together and forming mess after mess. 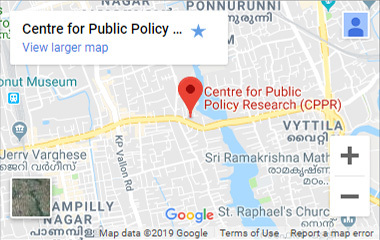 The states where the PDS system is efficiently functioning, such as in Chhattisgarh and Tamil Nadu, can be considered as replicable models for others to follow. The answer doesn’t lie in complex long term social strategies, rather a direct execution of what is at hand. Inefficiency now certainly doesn’t guarantee efficiency for later. Good governance, sensible and not populist measures and a competent delivery system remains the key when it comes to food security.